Roberto Zayas has been based in Taiwan since 1984. His music style combines elements of classical, jazz, folk, ethnic and popular music, into a unique and personal sound. 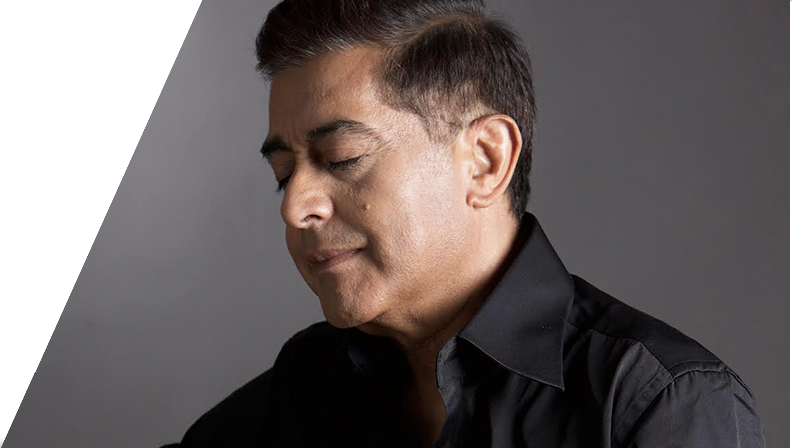 Born in Asunción, Paraguay, Zayas began his musical training at the age of five, studying with one of the finest classical guitarists in the world, Maestro Cayo Sila Godoy at the Escuela de Bellas Artes of the Universidad Nacional del Paraguay. In Taiwan, Zayas has become deeply involved in the music scene, arranging and performing for such stars as, Su Rei, A Mei, Guo Fu Chen, Andy Lau, Wang Li Hong, Chao Yiong Hwa, Wen Chang, Hong Rong Hong, composer Lee Tai Hsiang, among many others. In 1990 the song "Lonely Highway", performed by Wu Su Kai and arranged by Zayas, won the Golden Melody "Best Recording" Award. The Golden Melody Award in the category of "Song of the Year" for 1991, was awarded to the singer Chen Hsu Hwa for her song "Waiting All My Life", which was again arranged and performed by Zayas and marked the first time a foreign arranger had ever received this recognition. He has appeared with the National Symphony Orchestra as an accompanist for Placido Domingo. His warm guitar sound now can be heard on over four hundred different albums in Taiwan. Zayas have been performed and collaborated with Taiwan greatest Art companies and foundations, such as the "Cloud Gate" Modern Dance Troupe, Godot Theatre (Musical), Min Hwa Yuan (Taiwanese Opera), Taipei Philharmonic Choir, Century Choir, Taiwan National Symphony Orchestra (Chinese Traditional Instruments), National Symphony Orchestra (N.S.O. ), Taipei Sinfonietta, Taipei Performers Union, Dizzy Jazz Band, Yellowstone Harmonica Foundation, among others. Almost every year performed with his band Equinox or as guest guitarist at the "Taichung International Jazz Festival". It was program adviser of this festival in 2008, and did the grand opening with his band Equinox with special guest, the famous American saxophonist Eric Marienthal. Also alternating other performances, Zayas have been recognized as one of the pioneers in Hotels and business clubs in Taiwan and the area.